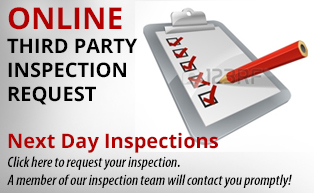 ConTest is one of the premier independent third party inspection agencies in the DC metropolitan area. We are certified to perform third party inspections in the District of Columbia. Our inspectors use their experiences and knowledge of design and construction processes to insure compliance with requirements of the building codes as well as approved construction documents. Our inspectors are ICC certified and include master electricians, and professional engineers.